Forget toys, my daughter’s favourite thing to play with is a chair. She’s not fussy – armchairs, stools, couches and seats of any shape or size will do. The problem is she’s still pretty small, so while appealing, our dining chairs aren’t the safest thing to climb. As a result, I’m a big fan of kid-sized chairs. What makes these armchairs from The Rocking Company so great is they’re suitable for indoors or outdoors. 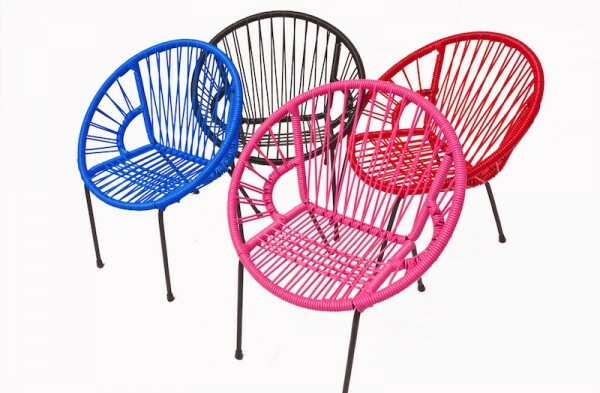 In bright and bold colours, the chairs are a cute addition to any playroom. 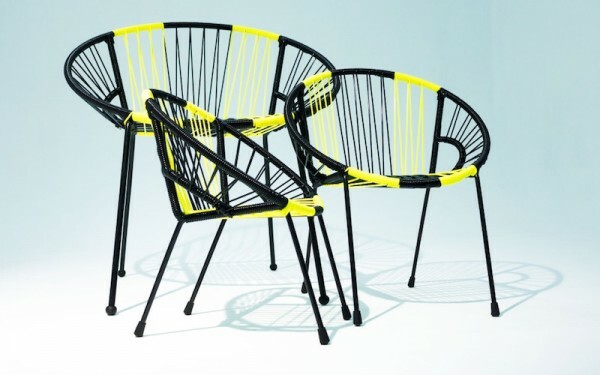 Plus, because they’re made from steel and PVC with outdoor paint they work as garden chairs too. So if you have a small child like mine who likes to carry (yes, carry) chairs around, it doesn’t matter if they get left outside. The chairs come in three different sizes – a baby chair, a kid sized chair and there’s even one for grown-ups! That means, if you’re into matching, you can have a set of the same chairs in different sizes. 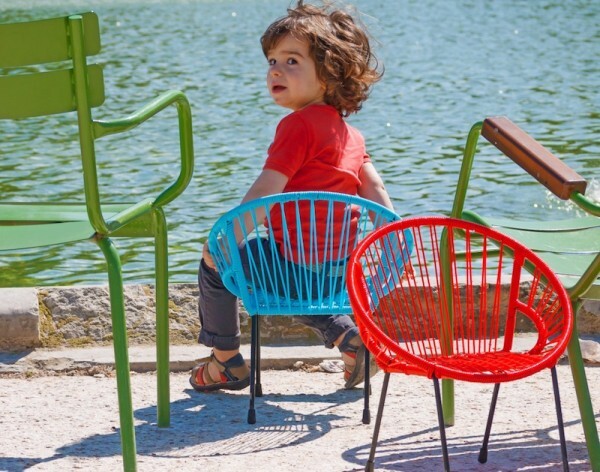 Prices for the baby chairs start at €75, and work their way up to €265 for an adult size. Chairs are available through The Rocking Company, but you’ll need to contact them directly about shipping to Australia.